Taking control over Syria is not a goal of the Turkish government, Ilnur Cevik, an adviser to Turkish President Recep Tayyip Erdogan, told RT’s SophieCo show, adding that Turkey’s real aim is to defeat Islamic State (IS, former ISIS/ISIL). 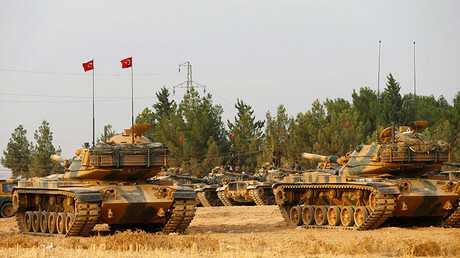 Turkey “doesn't want to gain any control on Syria. It wants to finish off Daesh, the so called 'Islamic State' militants. It wants to wipe them out,”Cevik said ahead of his visit to Moscow on February 26, using an Arabic acronym for Islamic State. “It was a very, very successful operation. Nobody would've been able to secure this kind of operation. In 100 days, we've cleared away the entire region – 45km deep into Syria and 90km at length. So, it's a huge area of more than 5,000 square km. That was a big achievement. 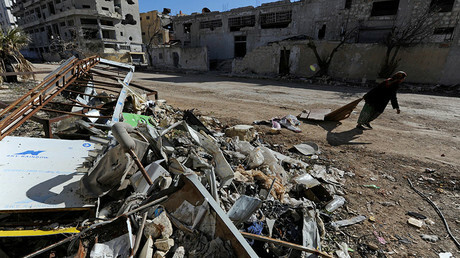 Al-Bab itself is a very big achievement,” he said. He also thanked Russian President Vladimir Putin for ensuring cooperation between Moscow and Ankara and giving Turkey an opportunity to conduct its operation without any unnecessary interference from other warring parties in the region. “The Russians and Turkey are very closely coordinating everything at the moment, and the Russians keeping the Syrians informed about what's going on, and they are keeping the Syrians at bay. So, we have no problems with Russia or Syria. It's a perfect, smooth operation at the moment, thanks to President Putin,” Cevik said. 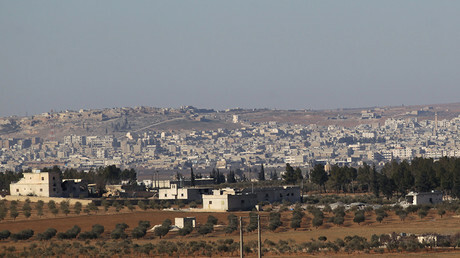 Meanwhile, Turkish military confirmed that Syrian armed opposition groups backed by Turkey’s forces had retaken all Al-Bab neighborhoods from Islamic State, as reported by Reuters. They also said that the troops are now working on clearing mines and unexploded ordnance in the area. On Thursday, Turkish Defense Minister Fikri Isik told journalists in the city of Izmir that the Syrian rebels supported by Turkey seized Al-Bab’s city center. 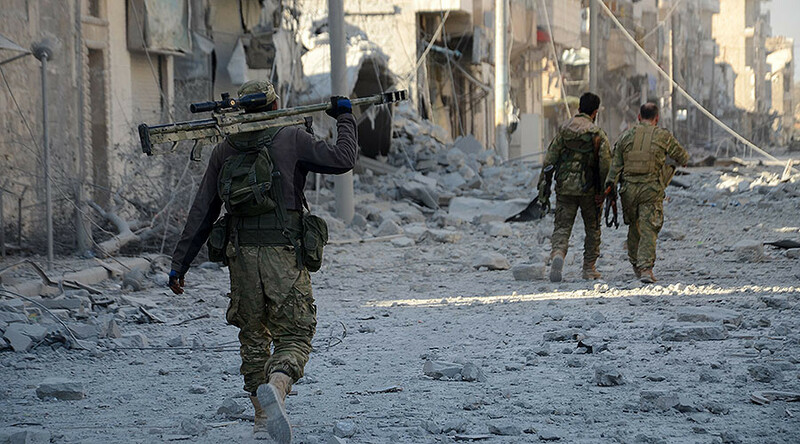 Cevik also stressed that Turkish forces have good chances of seizing Islamic State’s Syrian capital, Raqqa, located in the eastern part of the country. “Turkey has enough forces to do this. Besides, the tribes around Raqqa are Arab tribes which are very close to Turkey. They would prefer Turkey more than they would do Kurds, Syrians or Americans,” he told RT’s SophieCo. Earlier, Turkish President Recep Tayyip Erdogan vowed that the Turkish forces would continue their advance to Islamic State’s Syrian capital or Raqqa once they seize Al Bab. “The ultimate goal is to cleanse a 5,000-square-kilometer area,” Erdogan told the news conference at that time, as cited by Reuters. However, Cevik told RT that Turkey is not planning to establish a ‘safe zone’ in Raqqa and instead is going to create it on the territory it already cleared of Islamic State terrorists. He also stressed that this particular plan includes creation of a no-fly zone in the area to provide security for all the Syrian refugees Turkey plans to resettle there. 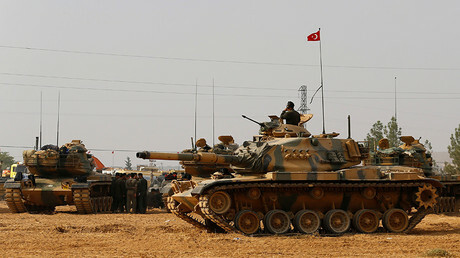 The Turkish president’s advisor also once again said that Turkey demands that Syrian Kurdish militia units, the YPG, leave the Syrian northern town of Manbij and retreat to the east of the Euphrates, adding that they could be moved out by force if they do not comply. Cevik also expressed skepticism concerning the YPG’s ability to liberate Raqqa from Islamic State. Turkey launched its Operation Euphrates Shield in northern Syria on August 24, 2016, with a stated goal of liberating the area from terrorist groups and creating a safe zone along its border with Syria. However, Turkish ground and air forces deployed to the area also engaged in fighting with the YPG. Meanwhile, Cevik said that Western influence on the situation on the ground in Syria is becoming increasingly marginal, while the real peace process is facilitated by Russia and Turkey. The Turkish president’s adviser also said he is skeptical about any potential US invasion in Syria. “I don't think it's going to turn into a full-scale U.S. intervention, I don't think the U.S. wants to be involved in that kind of intervention,” he stressed. At the same time, he praised the success Russia and Turkey had in brokering a nationwide ceasefire in Syria and facilitating talks between the Syrian government and the opposition that followed the establishment of the ceasefire. “The fact that the ceasefire is holding is thanks to Russia and Turkey. They have done a marvelous job in stopping this fighting, nobody could ever achieve this and nobody has achieved it until now – so we have done a great job and I think we should be applauded for that,” Cevik told RT.